Davao has become a well developed tourist destination in the Philippines. One of the most booming tourist destination that tourist want to visit. Davao has world-class resort and hotel accommodation and the best sporting facilities. Davao has many magnificent scenic view to see and is also rich in culture that blends the Eastern and Western culture. Davao is also known 'Orchard of the Philippines' because of the exotic flowers particularly the orchids with over a thousand species that can only found in the Philippines. The vanda sanderiana is native only to Mindanao. Davao is the major cutflower producer in the country. Davao is also the biggest exporter of tropical fruits in the Philippines. The province produce pineapples, bananas, pomelos, marang, durian and mangoes. Philippine eagle can also be found in this province. Davao is a paradise that has a variety of natural attractions. The place will amazed nature lover and adventure lover because of its superb world-class beaches, it's magnificent islands, famous diving sites and an exciting range of mountain adventures. Experience breathtaking picturesque scenic view of Davao. It's cultural and historical landmarks. With it's mountains with waterfalls,springs and caves; forests of rare plant and animal species; islands and beaches with crystal clear waters and coral reefs. These are the tourist attraction of Davao where you will enjoy your adventure everyday. Endless and non-stop activities can be experience in Davao and plenty of places to visit. Davao Museum: Showcase the province's colourful heritage. Tribal arts, musical instruments, costumes, crafts, weapons are on display here. Located inside the Dava Insular Village. Ethnic Villages: Experience a glimpse of of Davao's indigenous arts and crafts in Bagobo village in Binaton, B'laan tribal village in Matanao and mat weavers' village in Sinawilan. Fort del Pilar: Built in 1635 to repel invasion of marauding pirates, and is worth meandering through. Japanese Peace Memorial: A memorial Shrine dedicated to world peace. This also the memorial shrine for international brotherhood. Located at Catalunan Grande, 9 km. from the city. Mount Apo: It is the Philippines highest peak. The height of the mountain is 3,144 m and is Davao's unique natural wonder. Mount Apo's attractions are thundering waterfalls, rapids, lakes, geysers, sulphur pillars, primeval trees, endangered plant and animal species and a steaming blue lake. Philippine Eagle, also known as the Monkey-eating eagle, can be found seen here. Orchid Garden: You can find here the queen of Philippine orchids, the "waling waling" or vanda sanderiana. Philippine Eagle Nature Centre: Home of the endangered Philippine Eagle or Pithecophaga jefferyi. 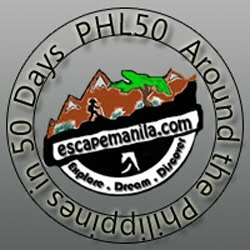 This is a good place for bird lovers where you can see the Philippine Eagle and other wildlife.